Thousands of Australian homes and businesses have been fitted with so called “smart meters” in recent years – in a bid to help consumers better understand their electricity usage and potentially alter their habits to save money on bills. Designed to provide “real time” reporting on electricity use, smart meters have been widely rolled out in Victoria with the promise of not only providing updates on energy usage every 30 minutes, but of putting an end to estimated bills and making it cheaper and easier to switch suppliers. 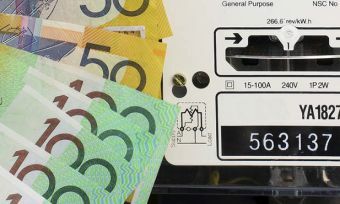 With distributor costs passed on to consumers through their electricity retailers, Victorians are estimated to have paid more than $2 billion for smart meters. However, an Auditor-General’s report suggests they have been largely ignored by consumers – and been a waste of money. The report claims the greatest benefit of smart meters related to avoiding the cost of installing and manually reading old meters. “When the rollout was announced, the benefits were promoted widely,” the report says. “However, when the Government reviewed the program in 2011, it was clear there would be no overall benefit to consumers, but instead a likely cost of $319 million. Victorians have been paying for the remotely-read devices since 2009 when they were first introduced in an effort to help people save money on power bills. The report also criticised the Department of Economic Development, Jobs, transport and Resources for failing to track the costs of the program, with Victorians expected to have paid $2.2 billion in metering charges and installation costs through their power bills by the end of the year. Auditor-General John Doyle said just 0.27% of consumers have subscribed to flexible pricing offers associated with the smart meters – well below the target of 4% by 2014 and 15% by 2017. Mr Doyle added that two-thirds of Victorians did not understand the benefits of smart meters. Energy Minister Lily D’Ambrosio said the Government had “made significant progress in improving the smart meter system”, that the rollout was almost finished and “most of the report recommendations are already implemented or underway”. A smart meter is an electricity meter that measures and records your electricity use at different times of day. It records electricity use every half an hour and provides more information about the way you are using power, allowing you to make more informed decisions about your electricity use. Unlike the older meters they replace, smart meters are two-way, digital communication systems that record electricity usage and automatically send the data to a customer’s electricity distributor, virtually bringing an end to estimated bills and manual meter readings. Using a web portal or an in-home display connected to their smart meter, households are able to access accurate and detailed information about their electricity use – allowing them to identify ways to save money on their bills. It also allows them to compare pricing offers from competing retailers. Smart meters can also act as a communication tool, informing customers about likely power outages and reporting them back to the distributor. Households with a smart meter are able to take up options on new flexible electricity pricing plans, which give customers a choice between flat rates and flexible pricing, meaning different rates for different times of the day. 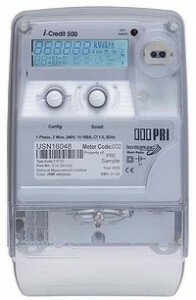 Connecting or disconnecting electricity, switching to a new retailer, or feeding electricity back into the grid from roof-top solar panels are also said to be cheaper and easier with a smart meter. Who Has a Smart Meter? Victorians are the only consumers to have smart meters imposed on them. It was the Victorian Government’s policy objective that electricity distributors roll out smart meters to all homes and small businesses in the state by the end of 2013. In other states, smart meters have been made available through voluntary market-led rollouts and have been met with strong opposition. Do you argue about electricity?